Everything in Dean Wareham's online shop can be had for 20% off until the 3rd August - lots of lovely goodies can be had at the bargain price merely by entering the word SUMMERSALE at the checkout. 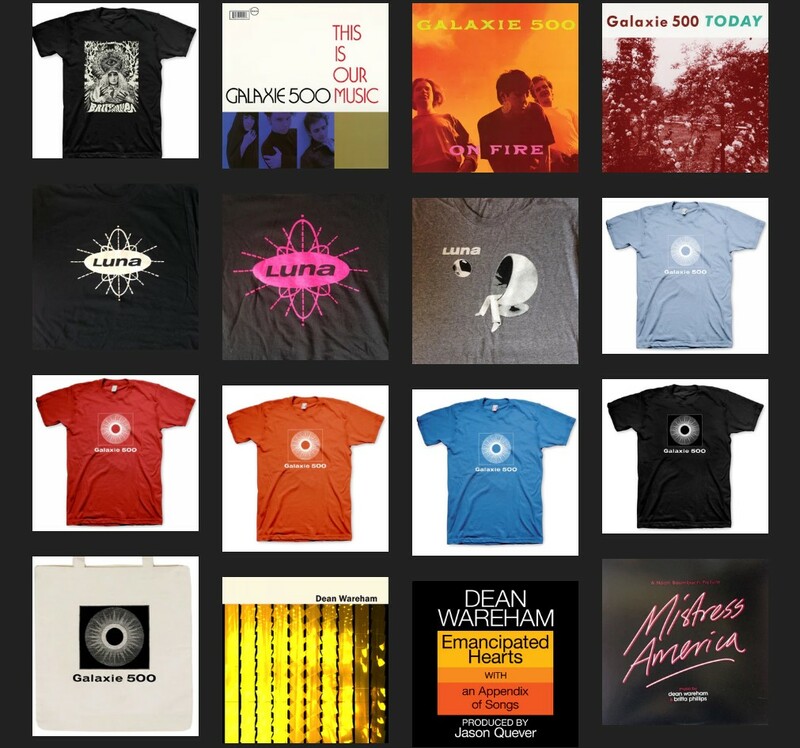 Included in the sale is a colourful selection fo Galaxie 500 T-shirts, and some lovely LUNA ones too - plus CDs and vinyl by Galaxie 500, Dean Wareham and Dean & Britta. Head down there and fill your boots - the secret word again is... SUMMERSALE - remember to click the add button to get the discount. « Early August birthday wishes - Happy Birthday Dean and Stanley!